True to my company name, The Helpful Marketer, I really am here to help! The goal of this marketing blog is to provide small business owners with free tips & demonstrations on social media marketing, search engine optimization (SEO), improving your website and how to improve your online presence. Small business owners are some of the gutsiest, most passionate people. They’ve made many sacrifices and taken some huge risks, all in the pursuit of a dream. They are the inspiration for my business, and the whole reason why The Helpful Marketer exists. If you have a website, you should know that Google has begun indexing the mobile version of websites. What does this mean for you? SEO Disclaimer: Conducting SEO is an ongoing, time-consuming project that might not the best use of your time. If you’re not in the position to hire a professional, then DIY SEO is surely better than none! 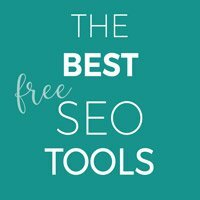 Here are the tools I recommend to aid in your Search Engine Optimization – and they all happen to be free! Search Engine Optimization (SEO) is the process of making sure your website can be found by search engines (Google) for the search terms (keywords) that you want to ranks for. Local SEO has different factors, weighted differently from regular SEO – especially your Google My Business listing. These are my favorite marketing tools that I use and swear by. Not all directly related to marketing, but sales, customer relations, and communications are ALL related to marketing. Here are Abby’s Favorite 8 FREE Digital Marketing Tools! Everyone knows repeat business is a good thing, but are you putting as much effort into it as you are into gaining new business? Retention marketing might be a lot more valuable than you realize. Marketing to gain repeat business is more cost effective and overall, more effective. With the recent changes to Facebook, it’s pretty likely that your posts will no longer show up in anyone’s Facebook feed organically. So now what? Continuing on the topic of “How the heck do I use Facebook as my business?”, we’ll now dive in to “How to share a Facebook Post to your Business Page” (and how to do that on mobile) and “How to see your Business Pages’ News Feed” (which may be wayyyy more useful than you think)! The majority of questions that I get from small business owners regarding social media are related to “How the heck do I use Facebook as my business?”. This seems like it should be so easy, but some of these things are surprisingly hidden!